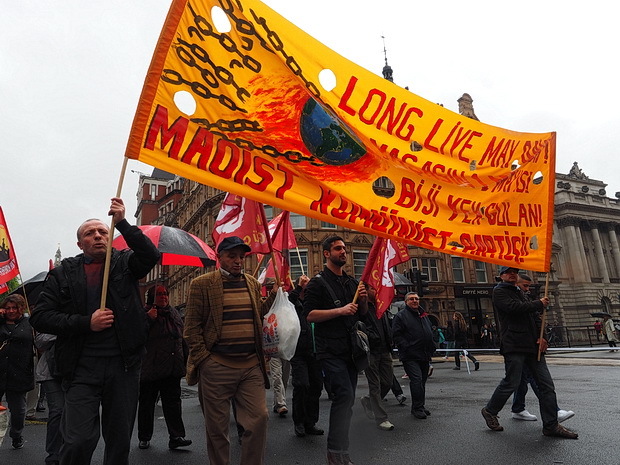 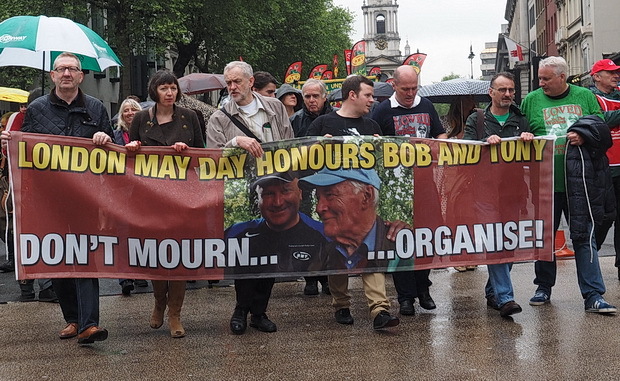 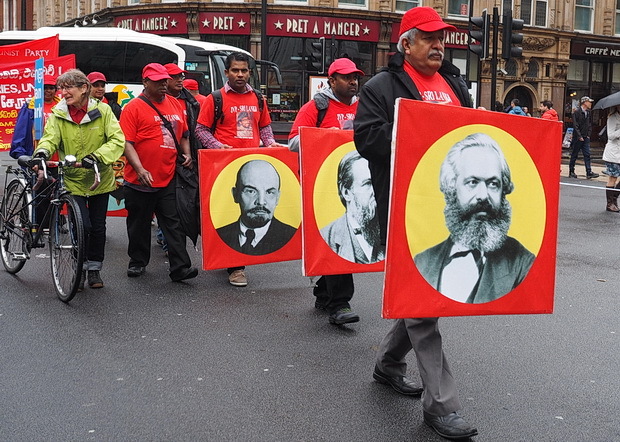 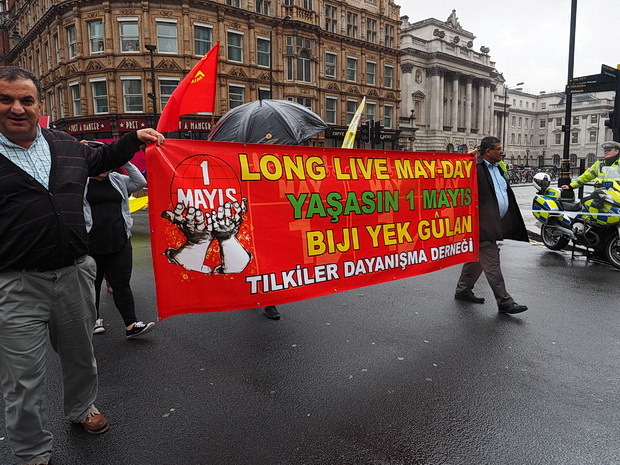 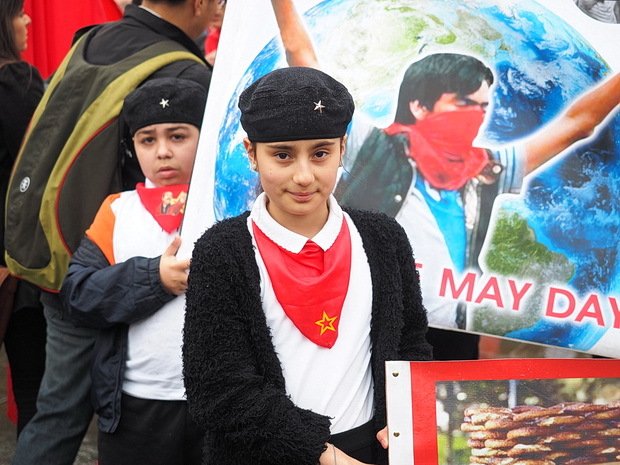 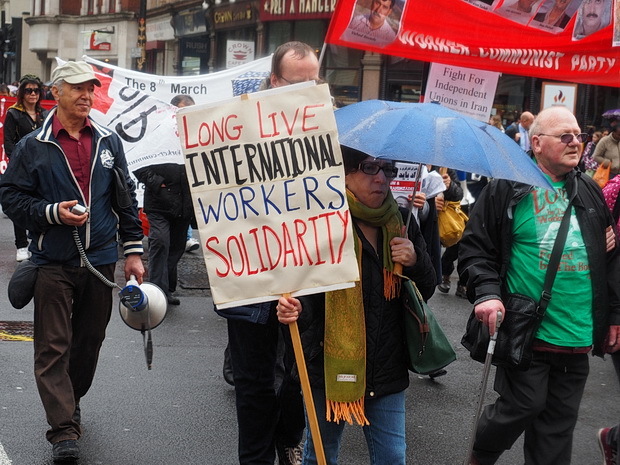 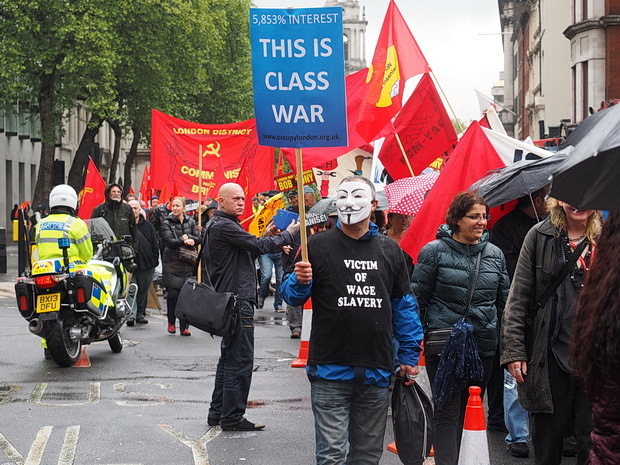 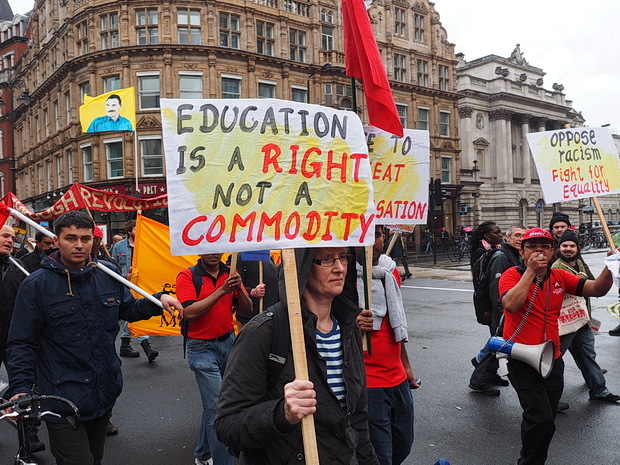 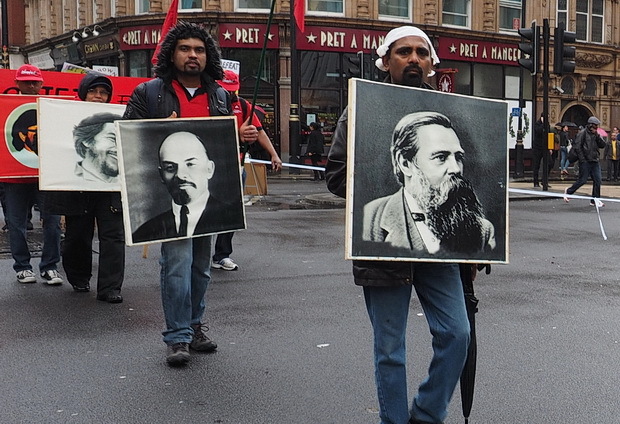 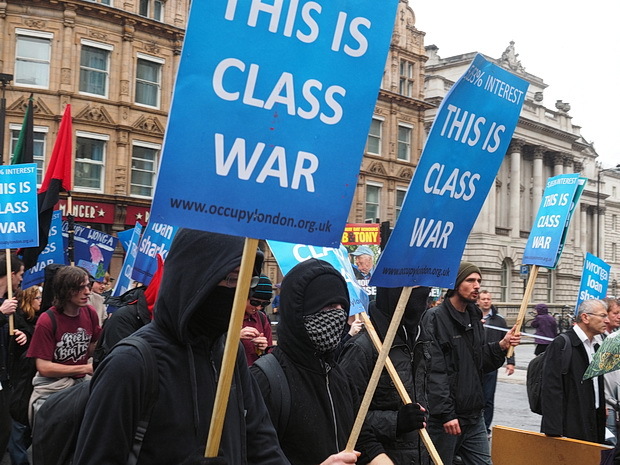 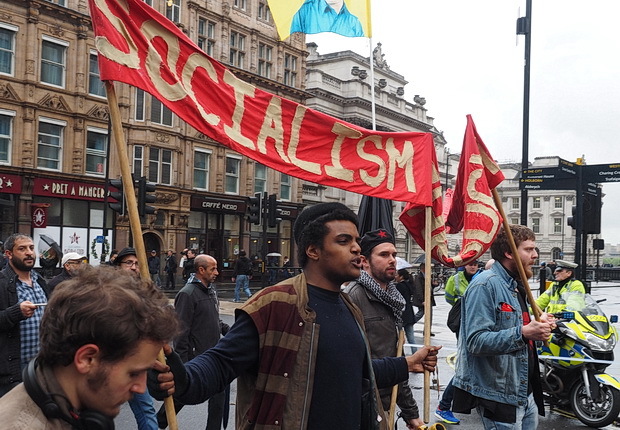 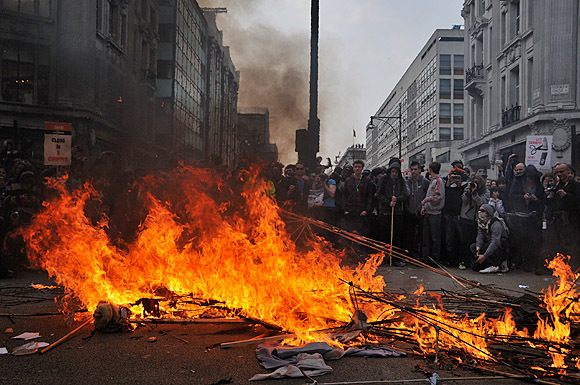 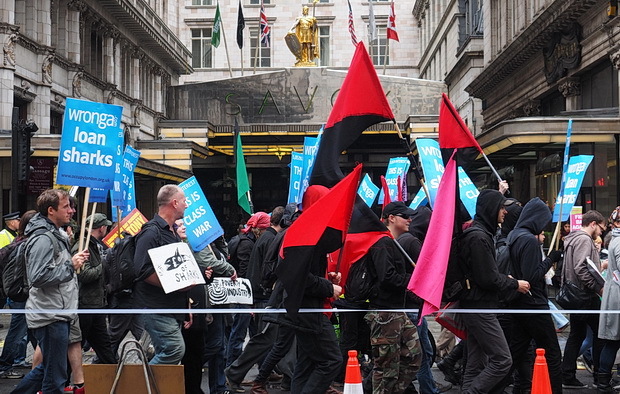 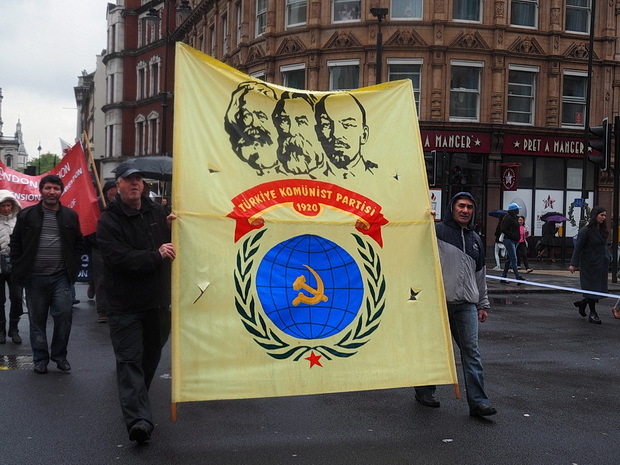 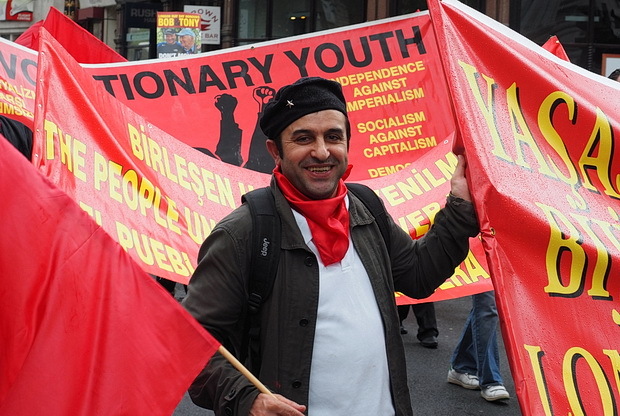 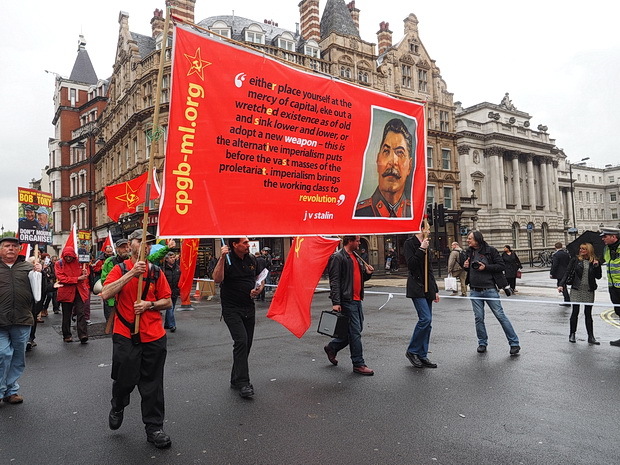 A huge turnout was seen marching through central London today as part of a Mayday event dedicated to socialist heroes Tony Benn and Bob Crow. 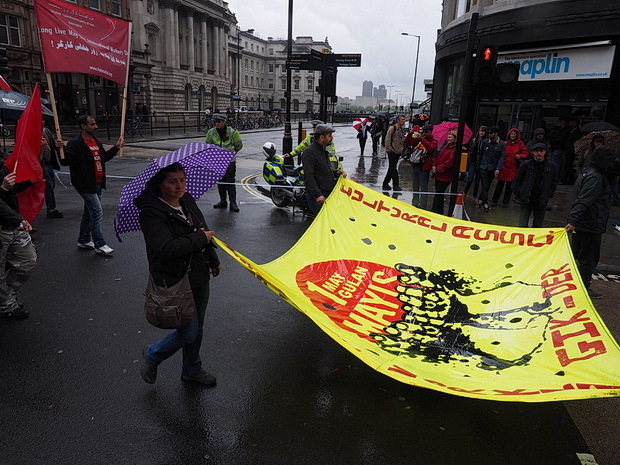 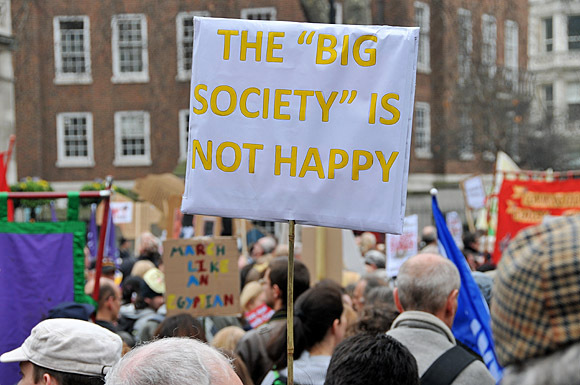 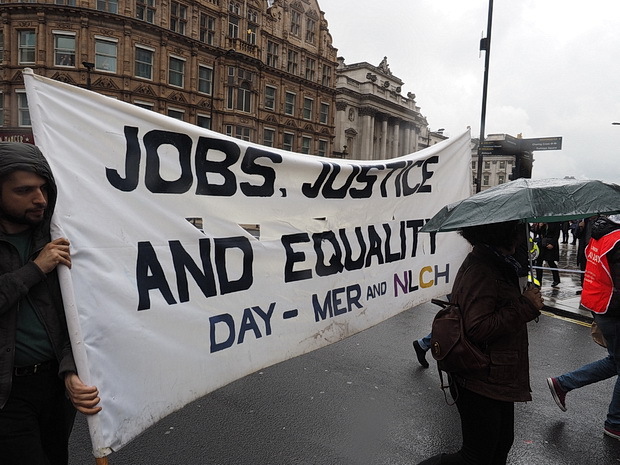 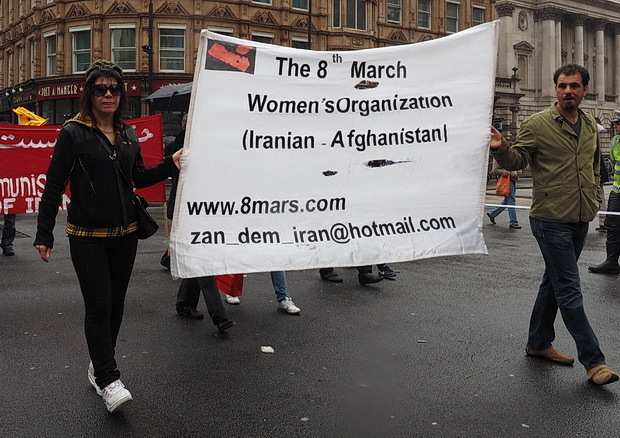 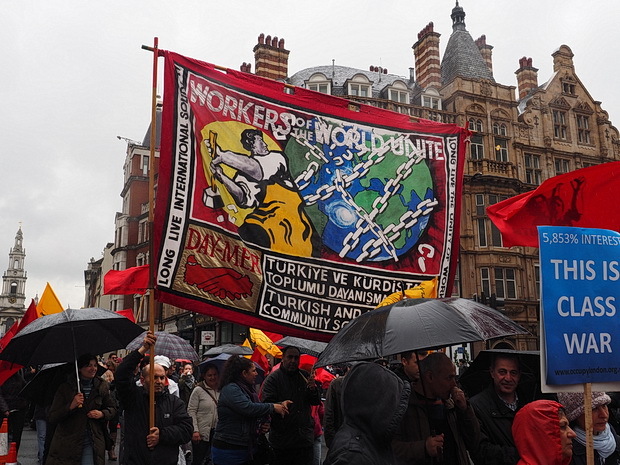 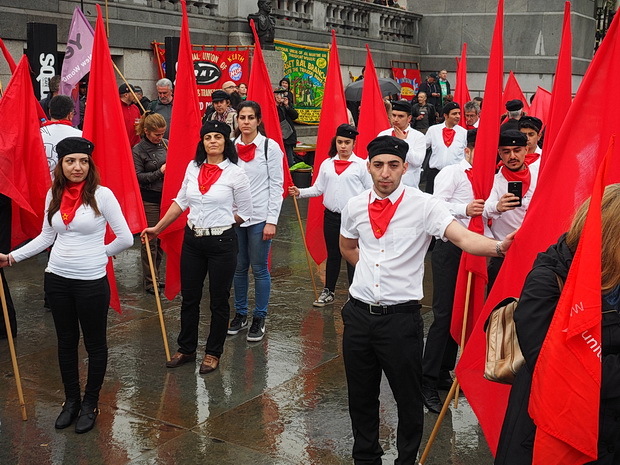 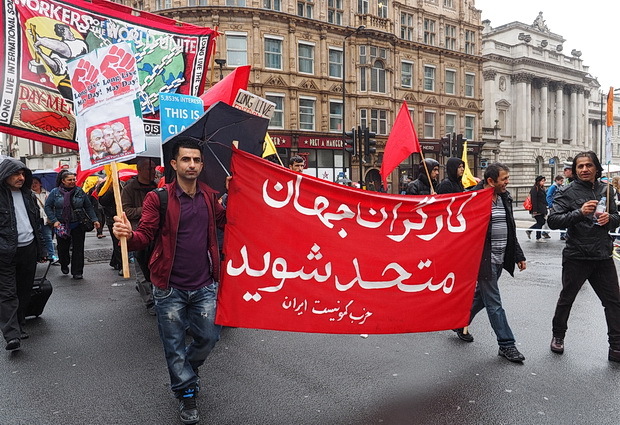 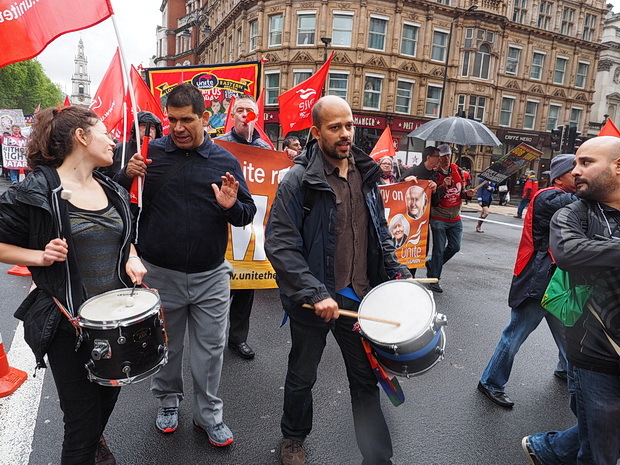 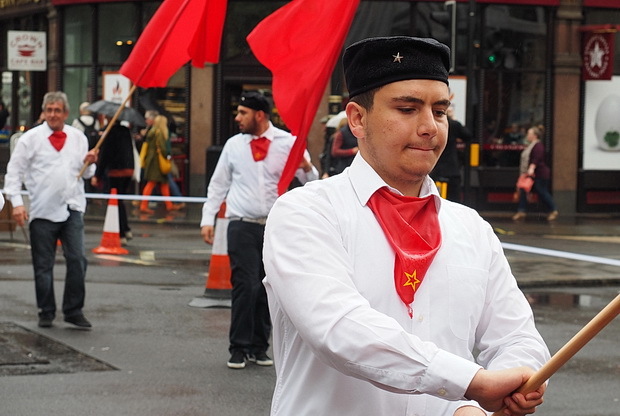 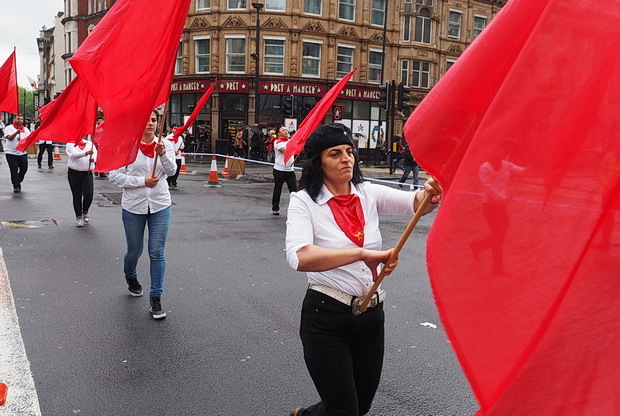 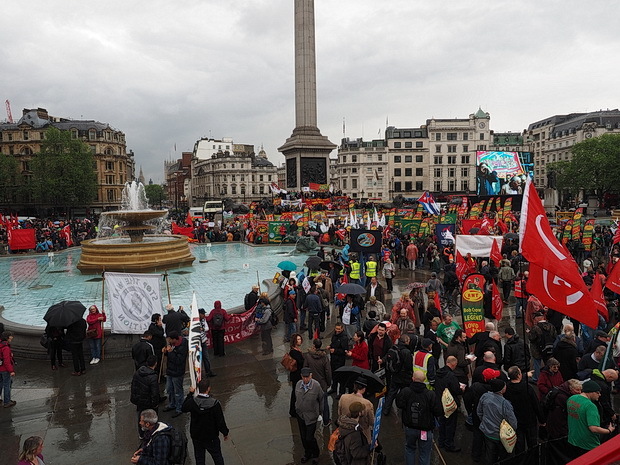 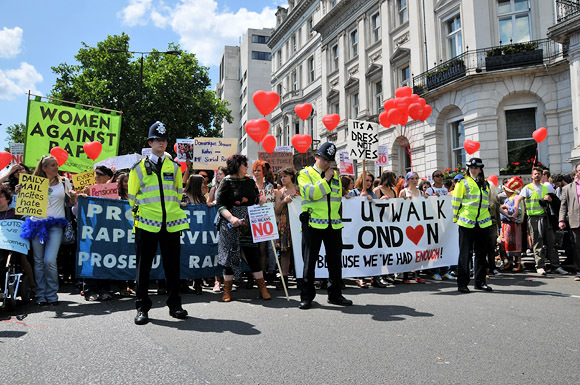 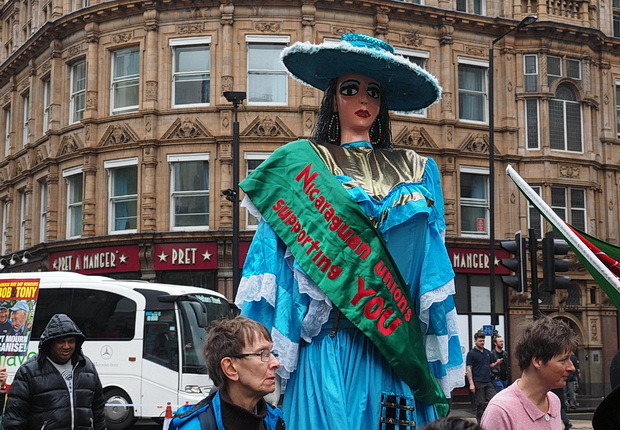 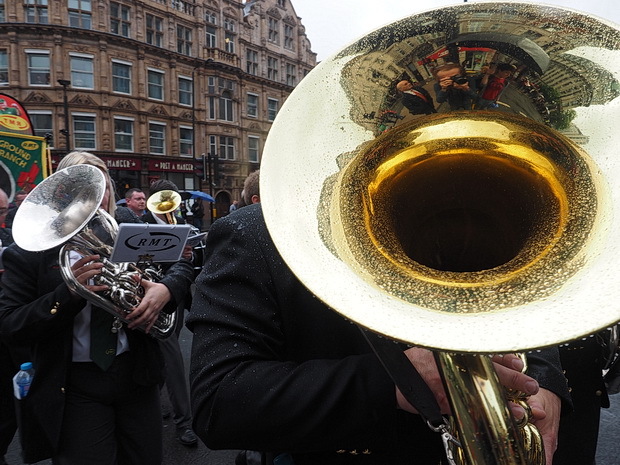 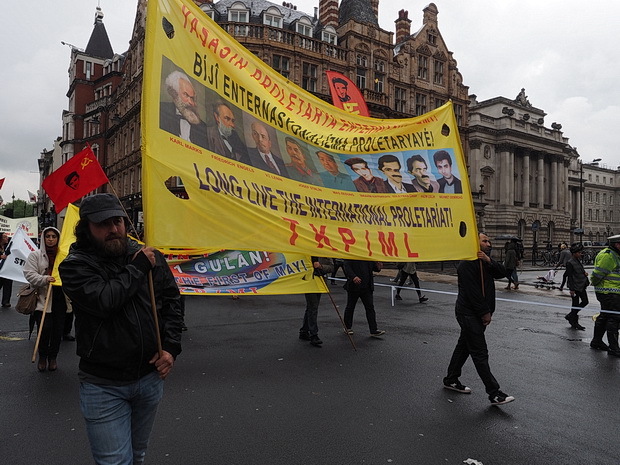 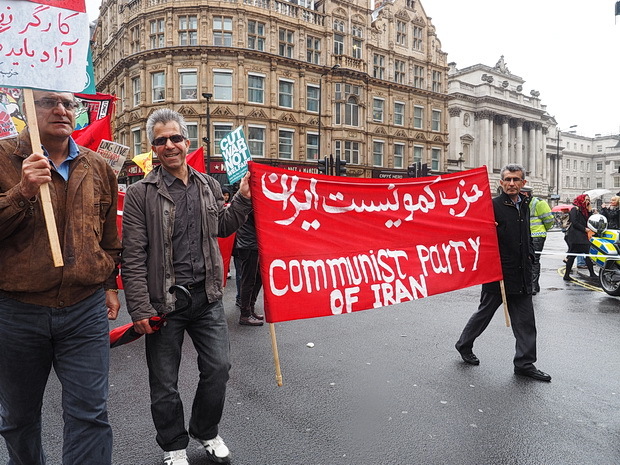 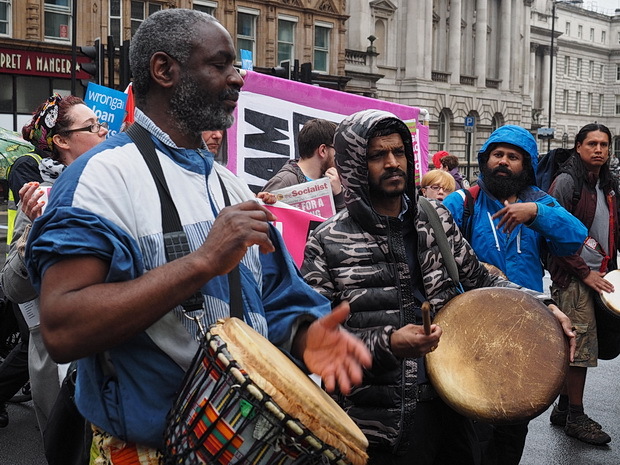 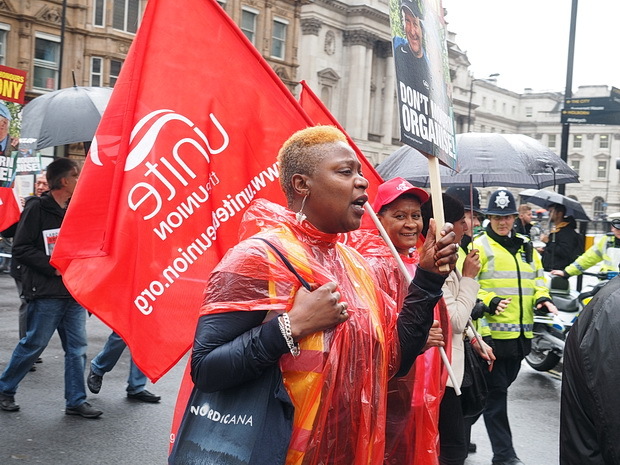 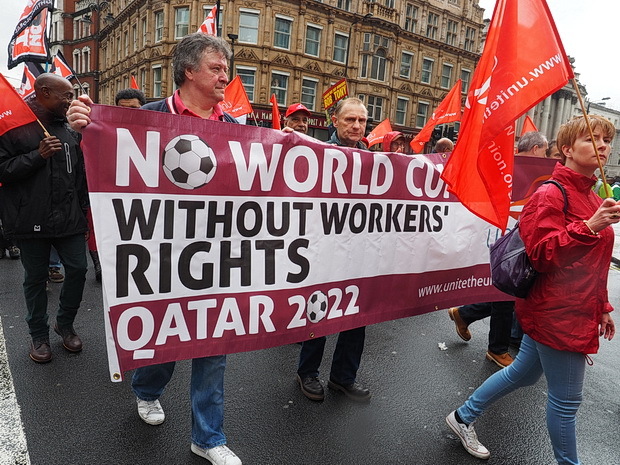 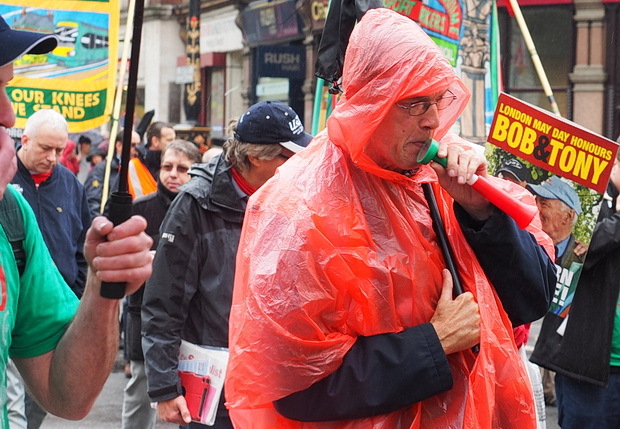 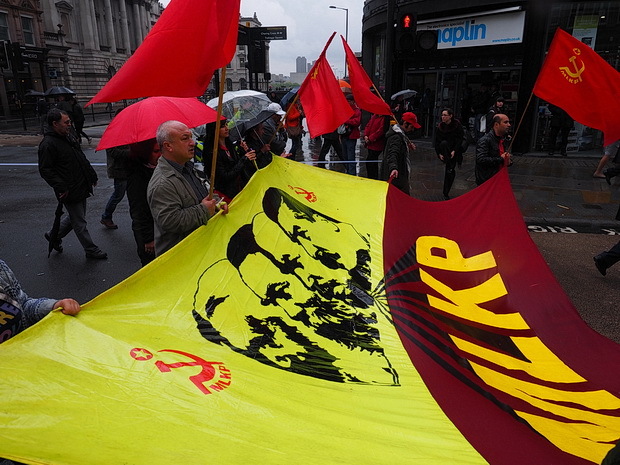 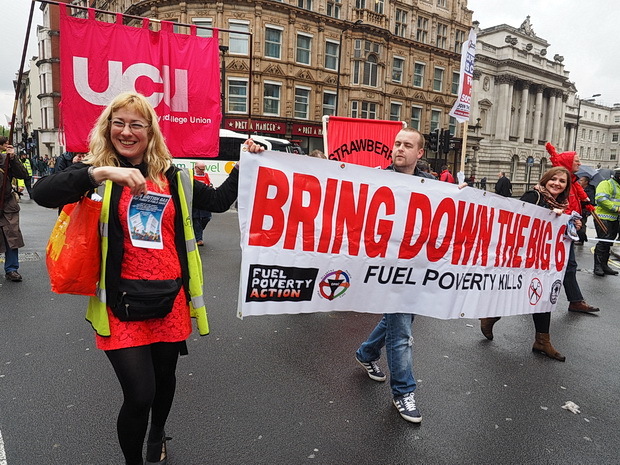 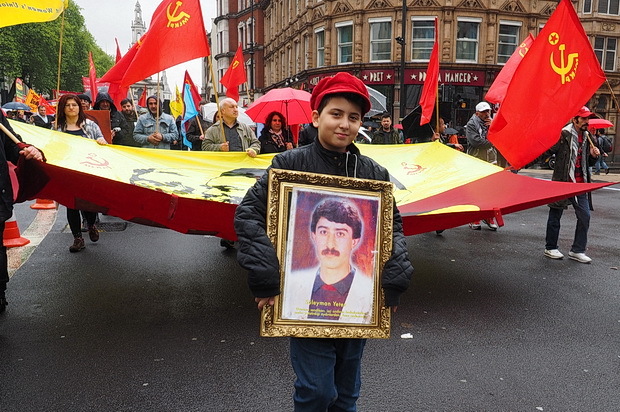 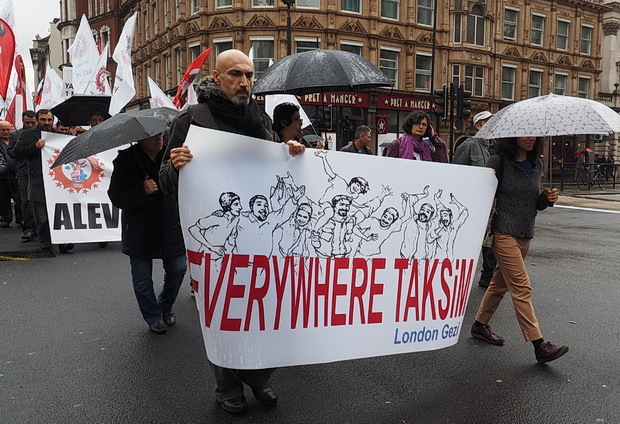 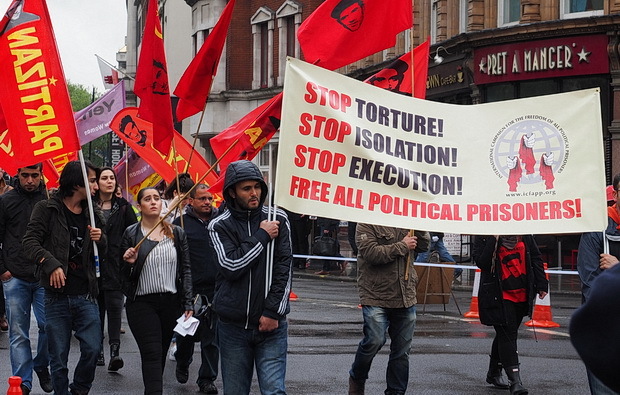 Despite the rain, thousands turned up, with the march starting at 1pm at Clerkenwell Green and working its way along Kingsway, Aldwych and the Strand, and into Trafalgar Square for a rally. 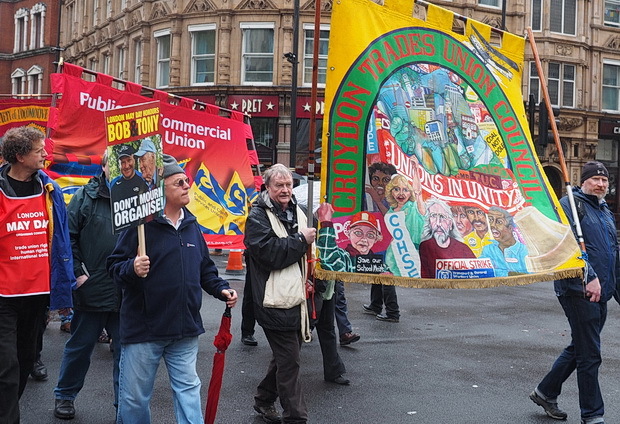 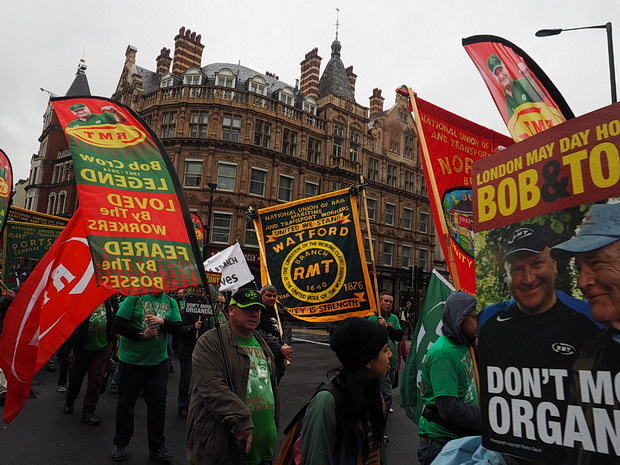 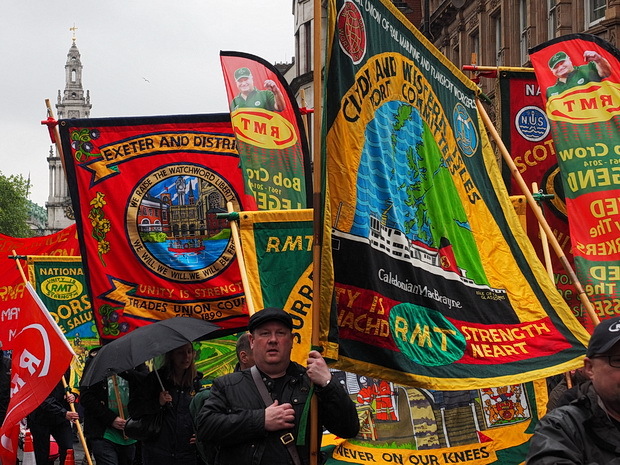 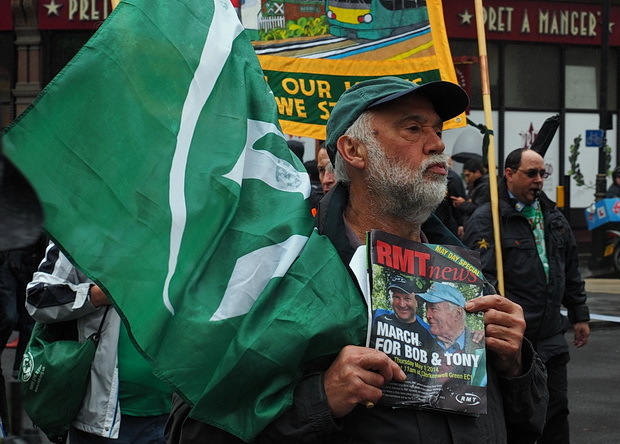 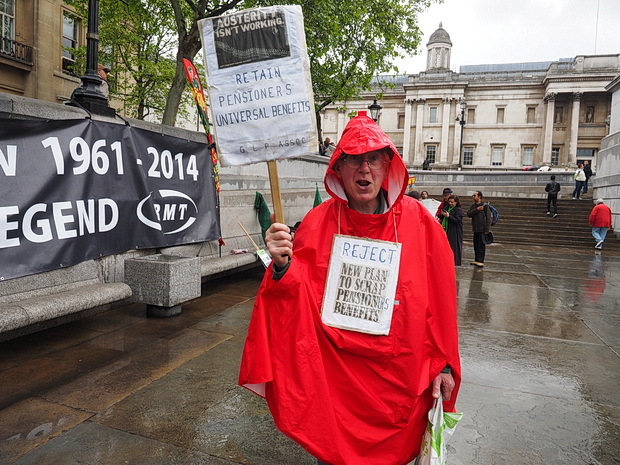 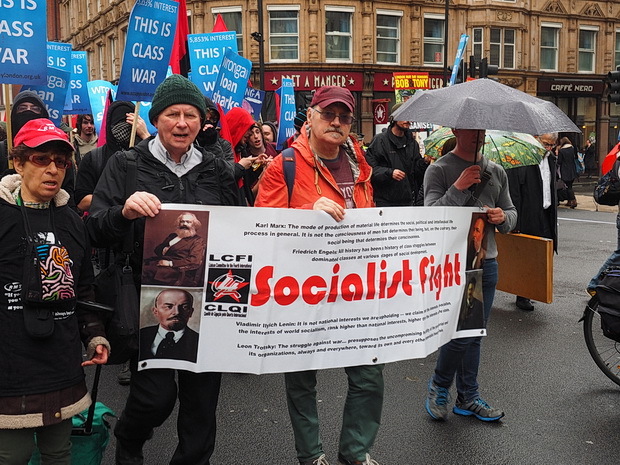 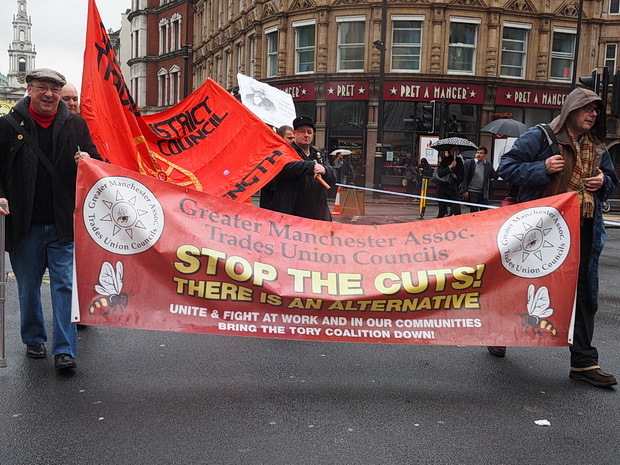 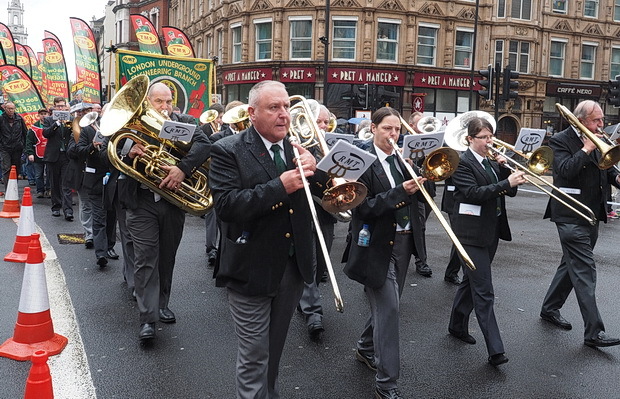 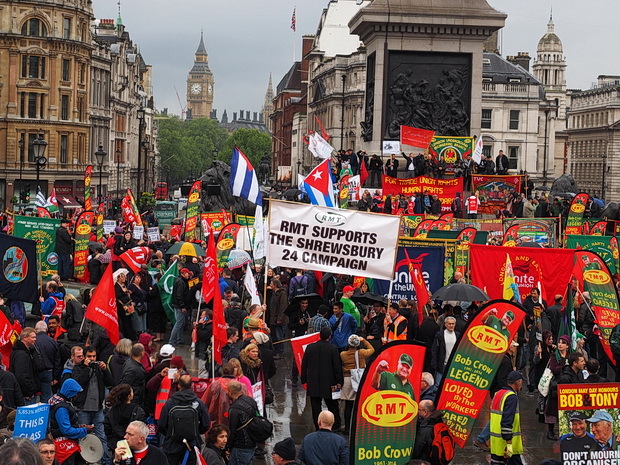 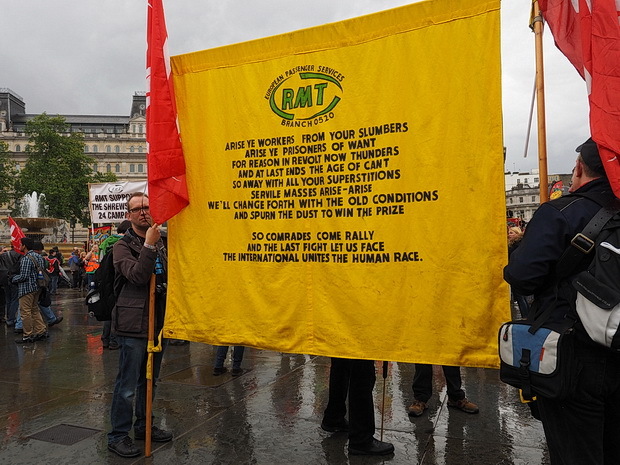 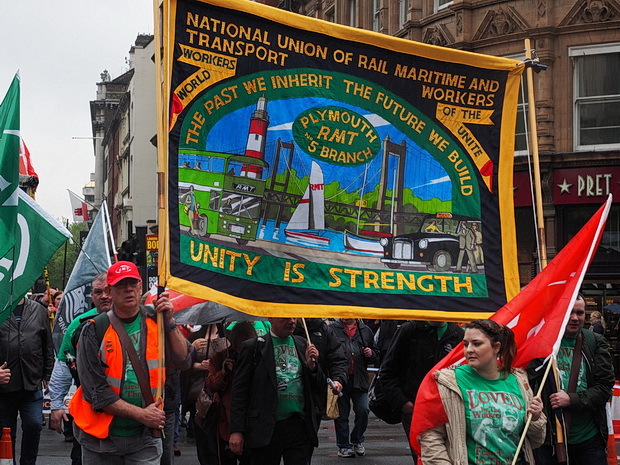 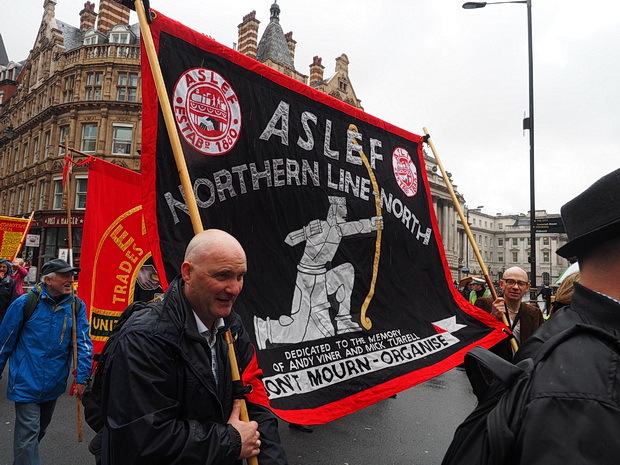 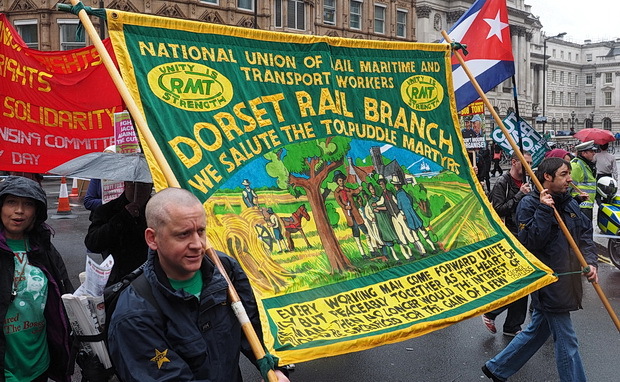 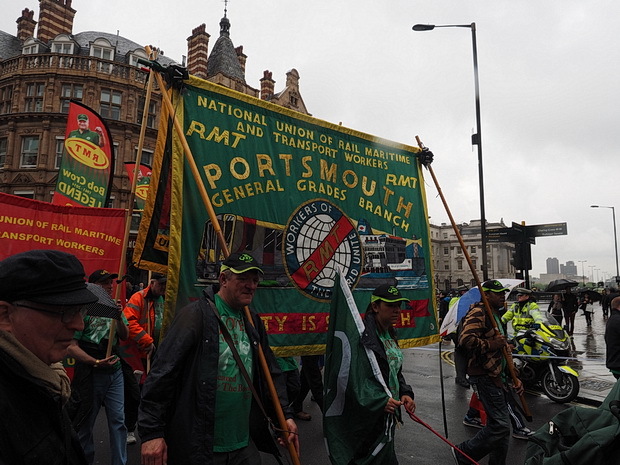 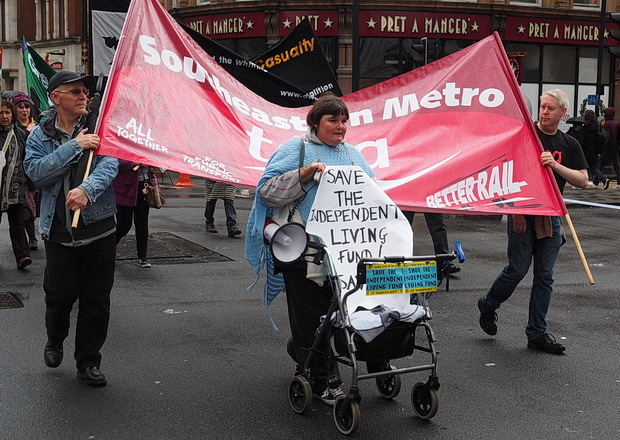 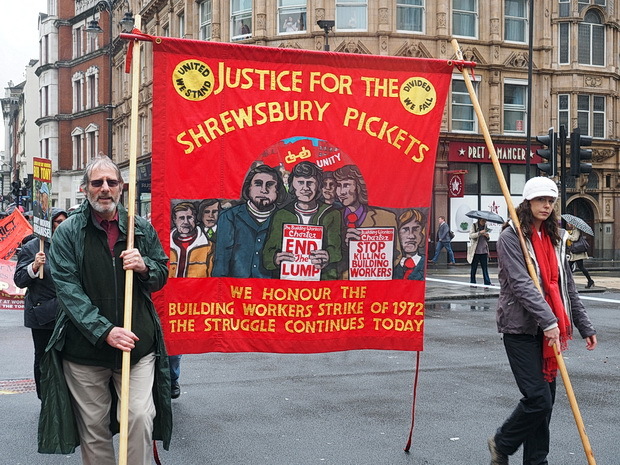 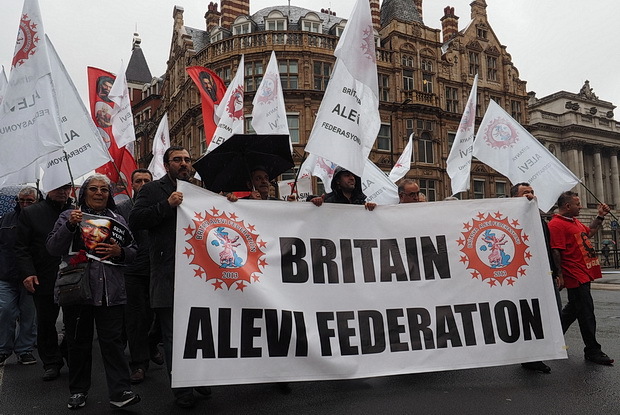 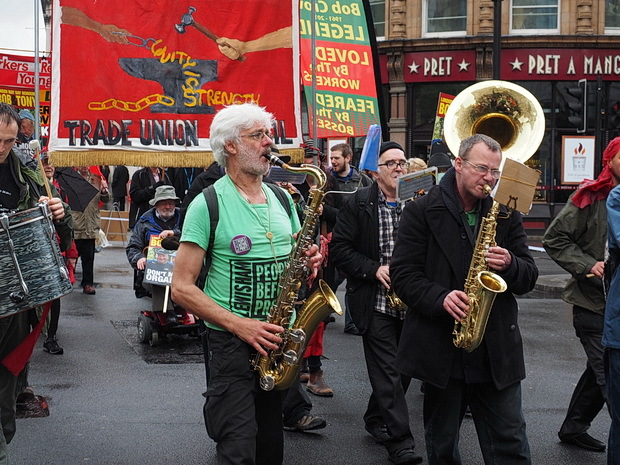 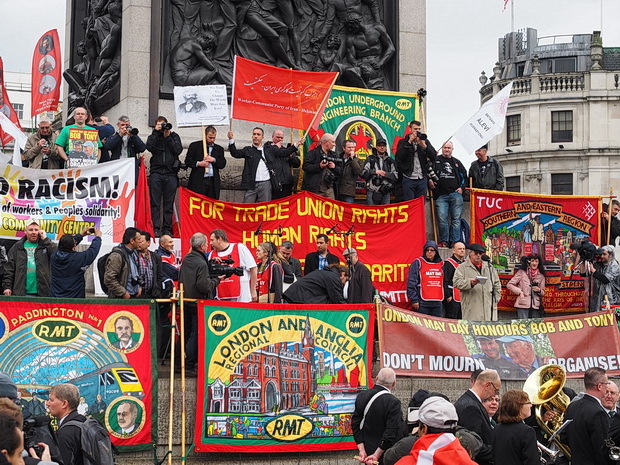 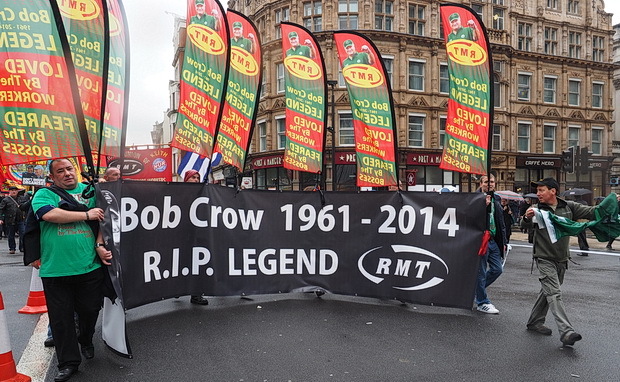 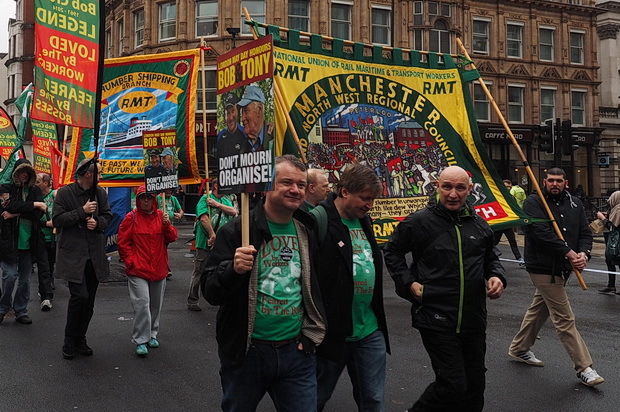 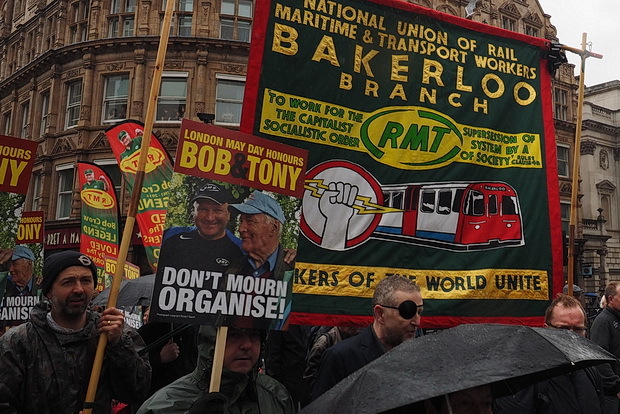 Uniting trade unionists, pensioners, students and political bodies, the march commemorated Rail Maritime and Transport union leader Bob Crow, who died on the 11th March this year, and veteran left-wing campaigner Tony Benn, who died just three days later. 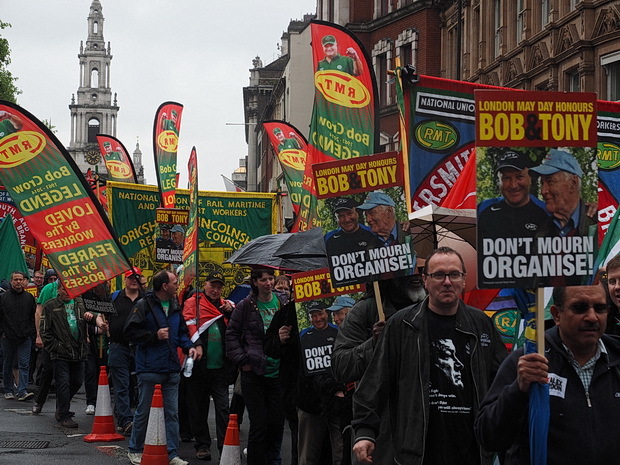 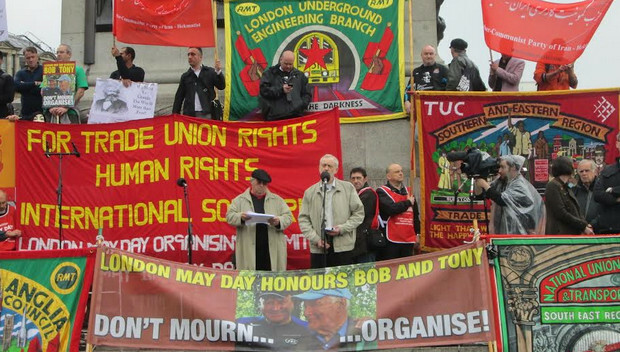 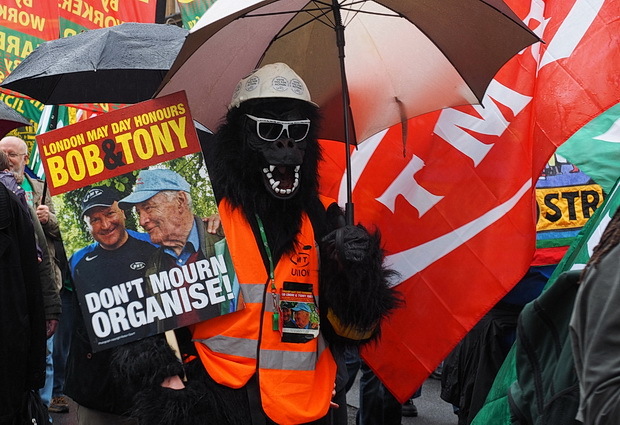 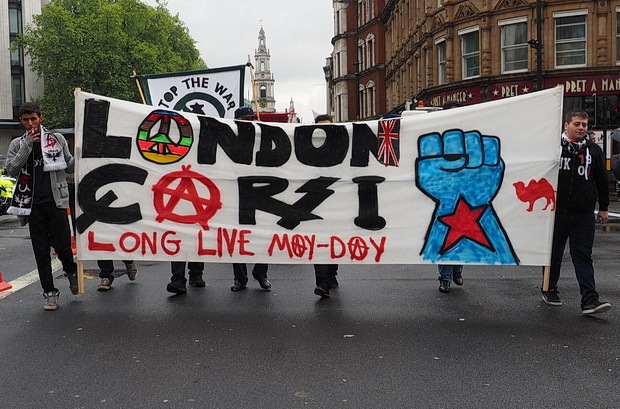 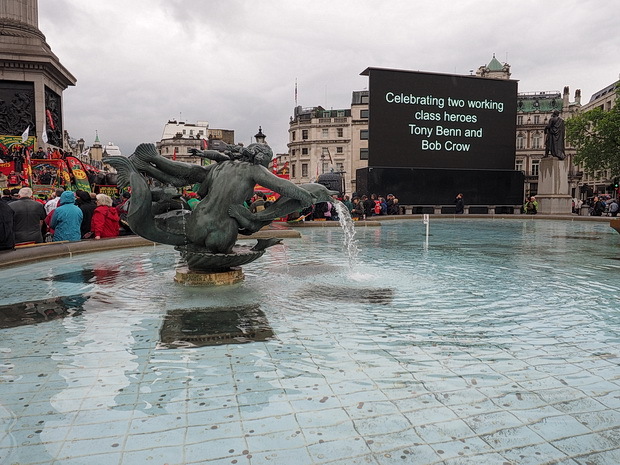 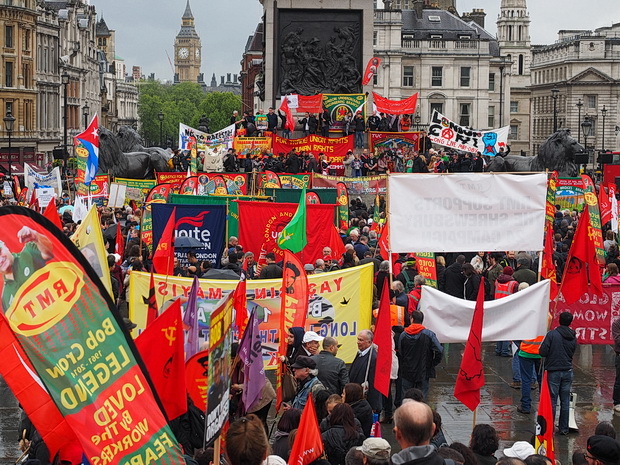 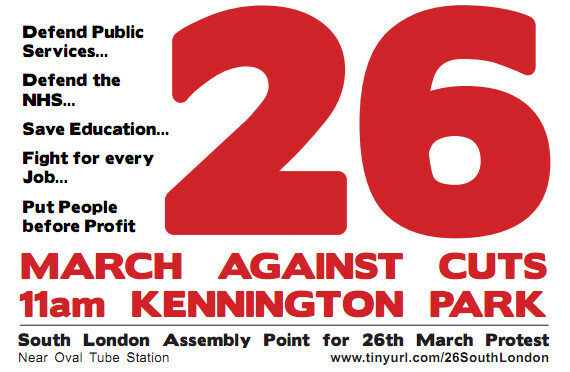 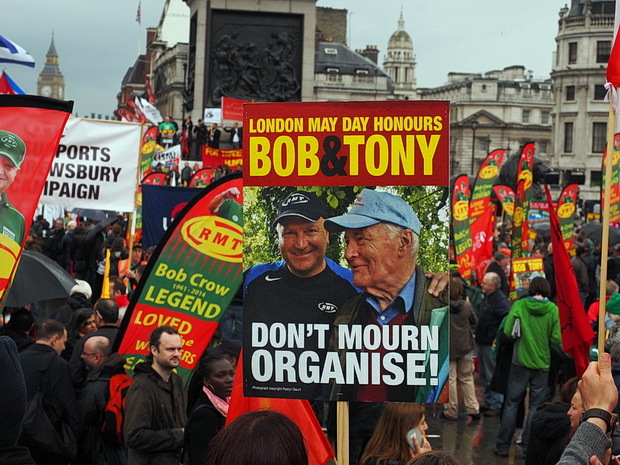 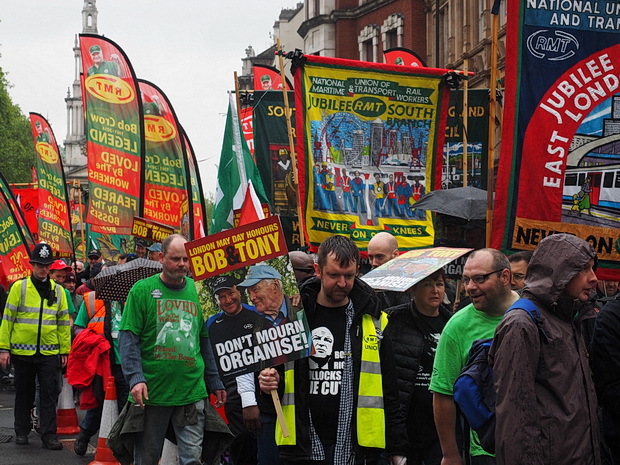 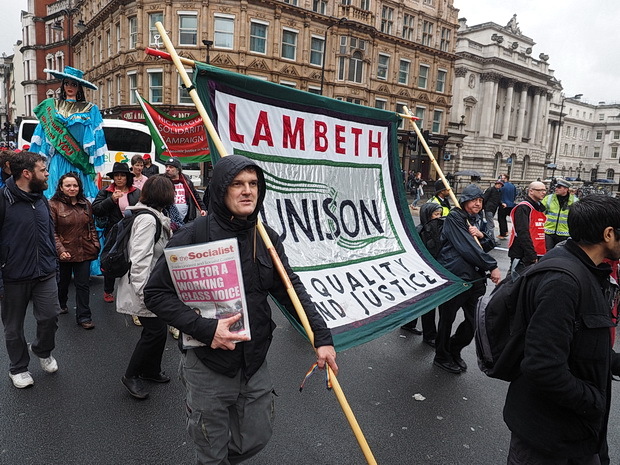 “This year’s London May Day presents a huge opportunity for the trade unions and the community to both pay tribute to the massive contribution made by Bob Crow and Tony Benn to the fight for workers’ rights and to send out the clear message that the battle goes on. 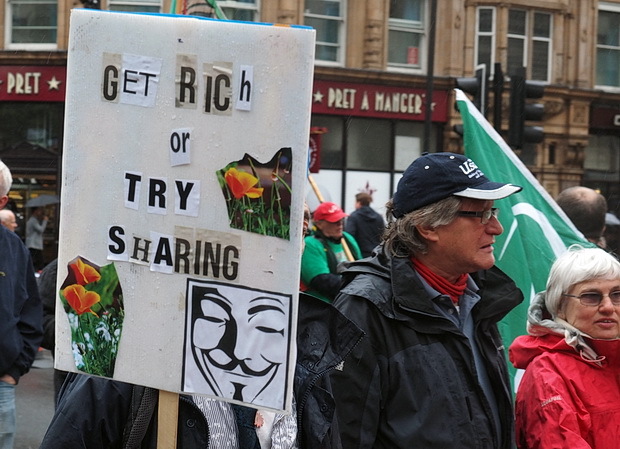 Great photo set. 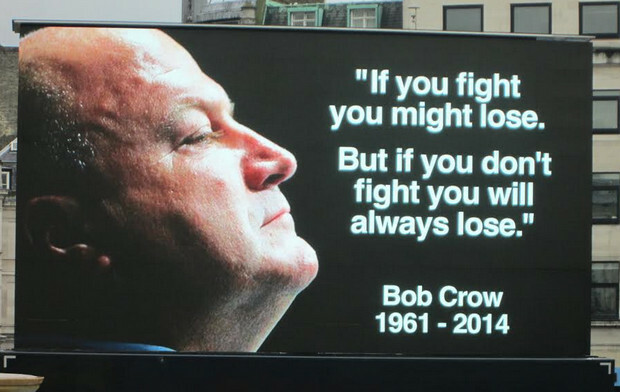 Had a lovely time as usual but this was the best for some years. 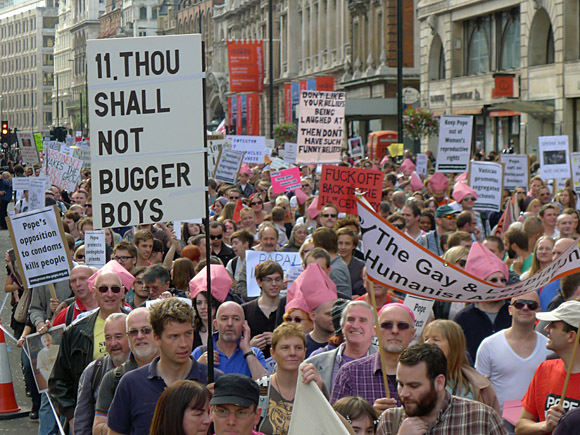 I came away full of hope and inspiration.